Home > Shop By Brand > McKee's 37 Waxes, Compounds, Coatings > McKee's 37 High Def Paint Sealant 16 oz. New Formula! McKee's 37 High Def Paint Sealant has been updated! The new McKee's 37 High Def Paint Sealant formula features a thinner viscosity that allows the product to be used farther, is easier to use, and easier to remove. For an HD level of shine and protection! McKee's 37 High Def Paint Sealant combines the high gloss and protective abilities of a standard paint sealant with an easy-to-use application for a quick layer of all around protection. Engineered to withstand any environment, McKee's 37 High Def Paint Sealant protects against acid-rain, UVA and UVB rays, airborne pollutants, and everyday contaminants that your paint comes into contact with. Featuring a show-car worthy shine and a daily-driver worthy protection period, McKee's 37 High Def Paint Sealant provides unparalleled results. Using a paint sealant on your vehicle is the perfect balance of shine and protection. Carnauba waxes shine like no other, but offer a minimal protection period. Paint coatings can last years, but the shine just doesn't compare. That's where a paint sealant comes in – especially McKee's 37 High Def Paint Sealant. Built to last up to 6 months, with a high level of gloss the whole time, McKee's 37 High Def Paint Sealant is the best of both worlds. McKee's 37 High Def Paint Sealant provides a high definition shine with a low-effort application! Protect your paint for up to 6 months! McKee's 37 High Def Paint Sealant contains polymers that form a catalytic bond with painted surfaces to provide the longer lasting protection you've been looking for. 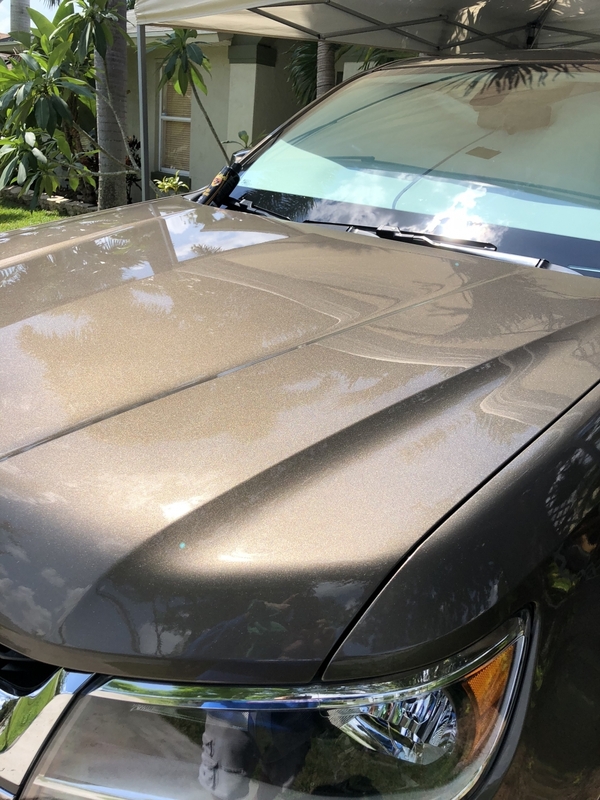 Complementary on any color paintjob, McKee's 37 High Def Paint Sealant creates an extremely slick surface that produces tight, round water beads and makes future washings easier than ever. This high-gloss, low-effort synthetic paint sealant protects against everyday pollutants that threaten to wreak havoc on your precious paint. McKee's 37 High Def Paint Sealant creates an armor that acid-rain, UVA and UVB rays, and other airborne contaminants just can't touch. Keep your paint looking it's best and protected against the elements with McKee's 37 High Def Paint Sealant. Shake McKee's 37 High Def Paint Sealant well before use. 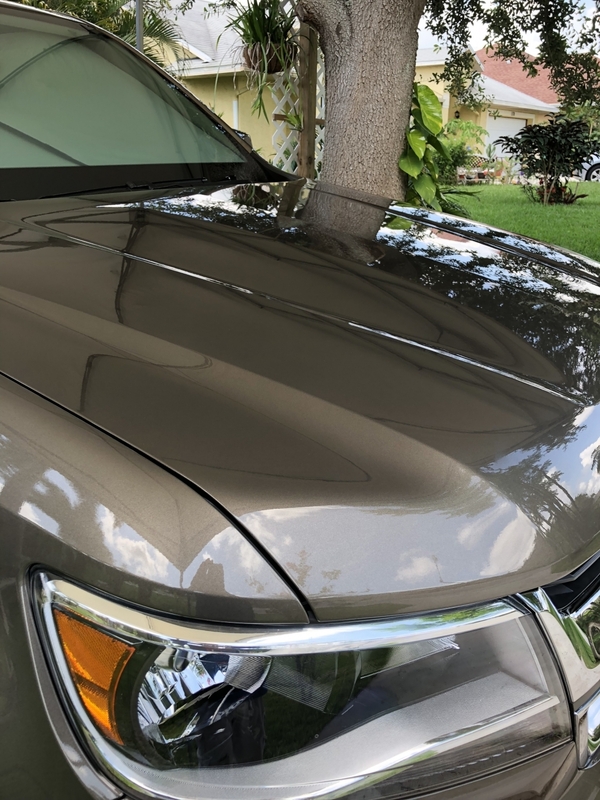 If you have not clayed your polished your vehicle within the last three months, be sure to do so BEFORE applying McKee's 37 High Def Paint Sealant. Paint that has not been properly maintained will not bond properly with the paint sealant, lowering the protection time and the shine capabilities. With a thick and creamy formula, McKee's 37 High Def Paint Sealant is easy to apply, both by hand or by machine. Working in the shade, apply a nickel sized amount of product onto a soft foam finishing pad. Apply the sealant to one panel at a time using a circular motion. Allow the sealant to dry for approximately 10-15 minutes (the longer you wait, the slicker it will be) before buffing it off with a soft and clean microfiber towel. Repeat this process around the entire vehicle. High Def Paint Sealant is a robust polymer formula that has a 6 hour cure time. Avoid water and moisture 6 hours after applying the sealant. My twin Brother turned me on to McKees 37 products. I decided to purchase a bottle of the high definition sealant. I used it on my 2016 Chevy Colorado. It applies very easily and leaves the surface shiny and slick. As another reviewer mentioned, it does not seem to attract dust Like carnuba products. I agree. I am very pleased with the performance.of this. Highly recommend. I've used Collinite 845 as my sole go-to LSP for the past few years, but when my latest bottle ran out I decided to change things up. Not that I'm unhappy with the 845 for any reason - I'm still going to get another bottle in the near future. For now I wanted to compare using a straight sealant (I suppose people describe 845 as something of a hybrid sealant/wax). The finish is very slick. I've used ceramic coatings, waxes and other sealants in the past and this one leaves the surface slicker than anything I've ever used. This makes rinseless washes very easy and effective. In my limited experience this sealant appears to be less attractive to dust than others. The coatings and sealants I've used previously seemed to attract more dust than before they were applied, but I haven't observed similar behavior with this sealant. All of McKee's products are outstanding.